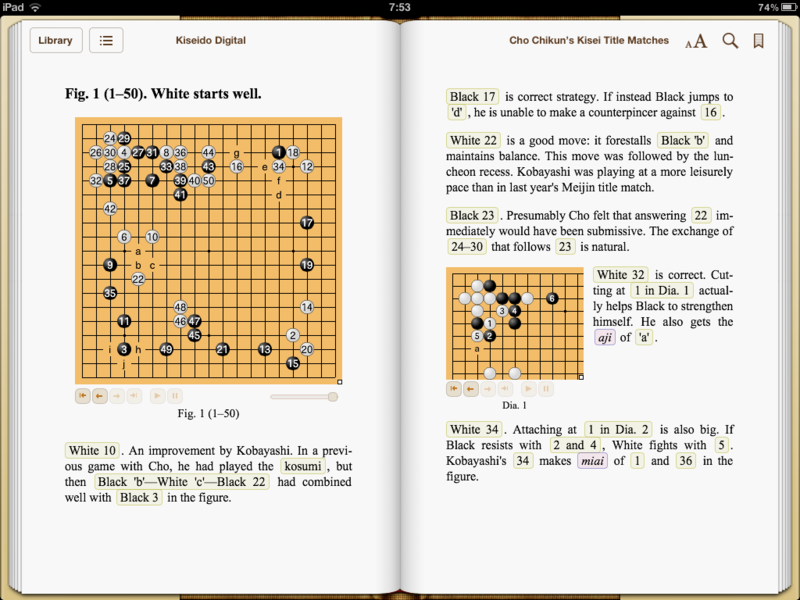 Kiseido Digital has begun publishing a new line of interactive go e-books. The first two books cover the eighth and tenth Kisei Title Matches, in 1984 and 1986, and include Go World’s comprehensive commentaries on Cho Chikun’s exciting matches against Rin Kaiho and Koichi Kobayashi. “Our books differ from other digital go materials in that they can be downloaded from many ebookstores and read on various ebook readers,” says Kiseido Digital’s Bob Myers. Currently, they are available on Apple’s iBookStore, Amazon Kindle, Barnes & Noble Nook, and Kobo bookstores. The Apple versions are fully interactive, meaning that sequences described in the narrative can be animated on the figures and diagrams by tapping them. The Kindle, Nook and Kobo versions are not interactive. 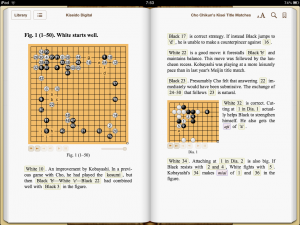 Click here for the Apple versions of the books: Tenth Kisei Title Match and Eighth Kisei Title Match. Other versions can be found with a Google search for “Kindle Kisei”; both Apple and Kindle support download of free samples of the books. by None Redmond: My memories of Don Wiener are filled with his kindness, a tenderness which was rarely seen. I especially remember some years ago when he was one of those in the go community who persuaded me to attend the annual U.S. Go Congress even though my husband Peter — who initiated our family’s involvement with go — had died a few months before and I would be alone. When I arrived in Santa Fe, Don reassured me, got me through the registration line quickly and shepherded me through the maze of buildings to where the children would be playing. It was a wonderful set up for the young people and I was pleased for them. Don became my constant companion during that Congress and I remember that while Michael was playing a simul with the four Redmond Cup finalists, I suddenly thought I saw my husband, young, healthy and vigorous coming in through the door to watch. Don quickly took my arm and led me out to the patio where he stayed and comforted me until I recovered. I remember his own sorrow when a friend of his died and I believe this tenderness of heart may be something that very few of you saw, obscured perhaps by his legendary prowess at the go board. Don was a mensch, an entire man and a good friend. I hope his example brings a gentler side to those of you who compete in this absorbing game. And perhaps a gentler side to all of us. I shall always remember him. Phil Straus: Don was the last person I allowed to smoke cigarettes in my house. That was probably in the late nineties. 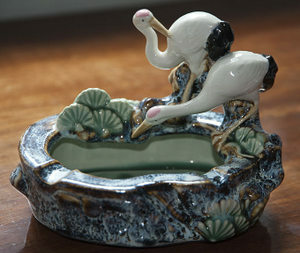 I brought out my Chinese swan ashtray, and we played endless handicap games in my office. We’d play one-game kadobans, and he consistently pushed me to embarrassingly high number of stones. Steven Jamar: One full-board game I played with Don was about a 7-stone handicap. He made an impossible invasion and when I said “You can’t do that!” he replied “if I can’t the handicap is too large.” That one comment taught me a whole new level of detachment to the game and any one result. 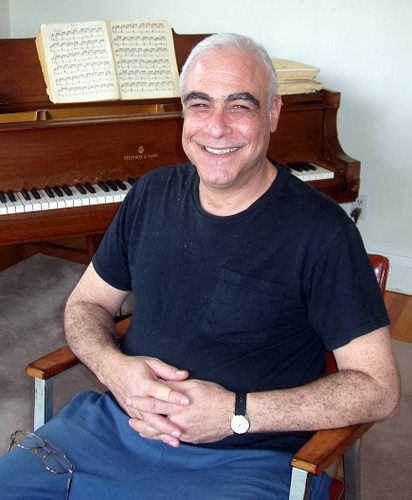 Chris Garlock: My favorite and most enduring memory of Don is of those summer evenings at The Woodlands in the Catskills, when Don, after a long day playing game after game on the wrap-around porch out front, would take his seat at the piano inside and play long into the night. His vast repertoire included every Tom Paxton, Harry Chapin and Phil Ochs song and we could stump him with an obscure song request about as often as we could beat him on the go board. Which is to say, almost never. 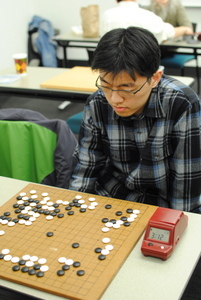 Wenhao Liu 5d (right) topped a 32-player field to win the Twin Cities Winter Go Tournament on February 23. 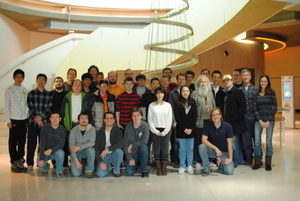 Players ranging from 5-dan to 20-kyu participated in the event, which was cosponsored by the Twin Cities Go Club and the University of Minnesota Go Club. The tentative date for the Twin Cities spring AGA ratings tournament is Saturday, April 20th. Time is running out to register for the American Go Honor Society’s 14th annual School Team Tournament. On March 16th and 23rd, go clubs from across North America will compete online for glory and prizes. Each school may enter up to three teams, consisting of three players of any levels from the same K-12 school. There are multiple divisions, so teams of any level will be able to compete. A total of $3,000 in prizes will be awarded, with prizes in each division, but also to every team that has a high participation rate. Visit www.aghs.cc to register and to read important information about the new rules and prizes. The registration deadline has been extended to March 6th, so gather a team from your school and enter before it’s too late. -Julian Erville, AGHS Vice President. The New Jersey Open, to be held at Princeton University in New Jersey March 2-3, will be the second of 2013′s NAMT points qualifiers after January’s Jujo Jiang Ing Goe tournament in San Francisco. A large tournament with a great history of more than half a century, the New Jersey Open is often a draw for strong players “and will be a fantastic opportunity for them to earn points,” notes AGA Tournament Coordinator Karoline Burrall. As the first qualifier for the Eastern region, participating strong players will be eligible to earn points towards the North American Masters Tournament at this year’s US Go Congress in Tacoma, Washington. Registration is 9-10A Saturday, March 3. Email co-director Mott for full details at rickmott@alumni.princeton.edu. Shi Yue 5P took this year’s LG Cup, and his first international title, defeating Won Soengjin 9P in two straight games in the best-of-3 final. Shi became a Chinese professional player 10 years ago, but an international title has eluded him until now. Per Chinese Go Association rules, he will now be promoted to 9D. 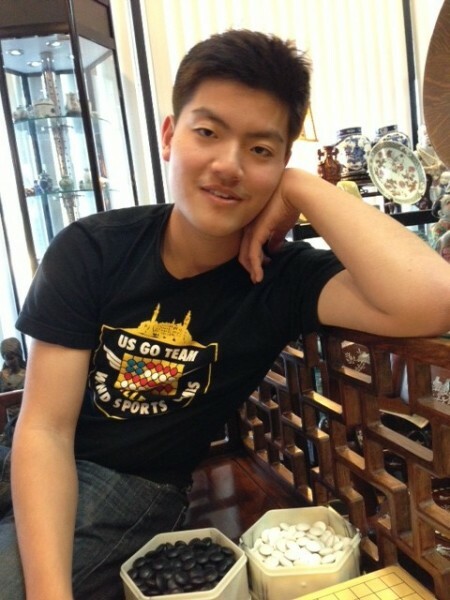 His style has always fared well against Korean pros, like Won. Shi’s record in 2012 was 17-2. This marks the 5th consecutive year China has taken the LG Cup title, beating Korea’s previous streak of four, giving Korea even more of an incentive to try to take back the Cup next year. 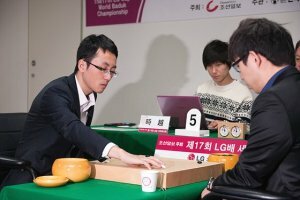 The Ing Foundation has announced its qualifier tournament for the World Youth Go Championships (WYGC), to be held March 9th and 10th. The new tournament has changed many of the requirements, added new prizes, and created a two step process. The qualifiers will be open to youth under 21, of any strength, and will be held on KGS. Two winners in each age bracket (under 16 and under 12) will be invited to compete live in Menlo Park, CA, for finals on March 22 and 23. The winner will then be invited to compete at the WYGC, which will be held in Prague, Czech Republic, this August. Another addition is the inclusion of a “special recommendation” player, who can be any youth player 3k or stronger, who is recommended by their go club, teacher, or other organization. Details on the tournament, including registration information, can be found in the attached PDF file here: WYGC. The deadline to register is March 3rd. Information on the WYGC tourney in Prague can be found here: WYGC_flyer. - Paul Barchilon, E-J Youth Editor. 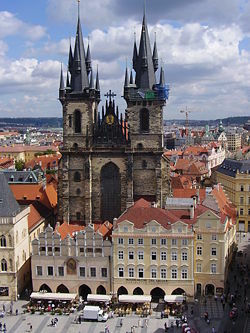 Photo: Tyn Church in Prague. Don Wiener was the fourth person I ever met who played go, but he was my first go player, the first person who truly inhabited the game – he played, he studied, he taught and he organized. I had learned the game from a professor at college, and I knew of two other students who played. One January, back in 1980, the professor taught a month long course on the game. While I did not take the class, I showed up for Don’s visit. After only experiencing the very laid back style of the prof, Don was a seismic shift. His energy was amazing and his laughter infectious. I recall he played the entire class 9×9 games with handicaps. I lacked 9×9 experience, so I was not one of the few winners, but I recall him complimenting my willingness to try to kill him. I failed, but he did not kill me either – I recall the final score was 5 to 2. Later I would learn that he was one of the strongest players on the East Coast. He was a mainstay of the American Go Journal staff back in those days. I know he was extremely proud of his work on the “Keshi and Uchikomi” series in the Journal, which was later published by Slate and Shell. Like Sam Zimmerman and Chris Kirschner, he was one of those guys who simply showed up at the Go Congress and went to work setting up and helping out wherever he could. You could call Don the “father of the AGA 7dan”. The US Open — until the second Denver Congress in 2000, I believe — had always had a 5 dan section, and an open section above that, therefore, the AGA’s highest rank was 6 dan. Don argued for years that he was a 6 dan, but that he could not compete with those other 6 dans, and that we should have a 6 dan section, implicitly recognizing a 7 dan rank. My recollection is he got his wish, promptly won the first-ever 6 dan section, and had to play in the Open section the next year anyway. But my fondest, and given his death from cancer, bittersweet, memories of him were playing games, usually on picnic tables outside at the Go Congresses. Unlike many strong players, Don would play absolutely anyone just so long as they were willing to share his smoker’s exile and put up with his running commentary on the game. Laughing with him in the summer sun are truly some of my brightest Congress memories. “Is it possible to sign up for one email per week that has all the msgs concatenated together from the previous week?” wonders Bill Chiles. Absolutely; just go to “UPDATE YOUR PROFILE” at the bottom of your E-Journal and select the frequency you prefer.